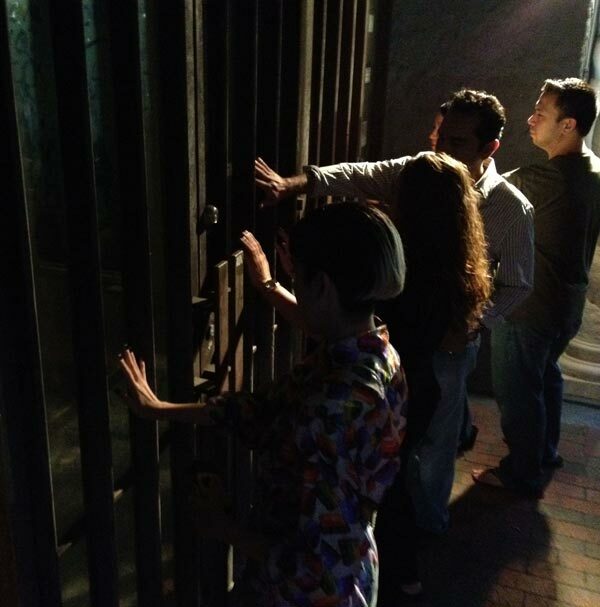 If you’re looking for a different way to view South Florida, it is hard to argue with The Original Ghost Tours of Coconut Grove. Most Friday and Saturday nights, proprietor Sandy Walker offers a unique view of the Grove to 25 or so adventurous souls. Once she sets the not-too-serious and not-too-kooky tone of the evening, we are walked to the south side of the Playhouse. “Built in 1926, this building has a somewhat negative energy line. (She points) If you look to the third floor windows, you’ll see the curtains flow in an unnatural way. That’s ectoplasm.” I can see the curtains move, but don’t think it odd. 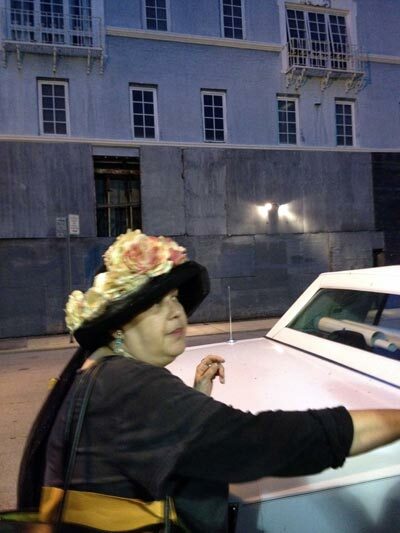 Yet, seconds later another ghost hunter gasps, claiming she’s caught a face in the window with her digital camera. We all look at her pixelated screen and draw our own conclusions. Moving across the street of Old Main Highway, Sandy suggests we might capture orbs and odd light in our cameras if we snap enough shots. The history lesson and suggestions of what we might see continue for 90 more minutes. We visit The Barnacle State Park, stand outside St. Stephen’s Episcopal Church and make our way to two existing businesses where our guide recounts stories of recurring hauntings. Everything from disembodied mid-day shadows of a murdered woman to a playful mask-wearing disembodied spirit to walkways charged with energy are discussed. More than a few times, fellow guests claimed to capture odd things on their cameras. I honestly didn’t see anything otherworldly, but it was fun to see others believe they had. The crux of the tour centers on the story of the Peacock and Munroe families. These neighbors were the first to settle the area and Eva Munroe, who had tuberculosis died on the banks of the Miami River. 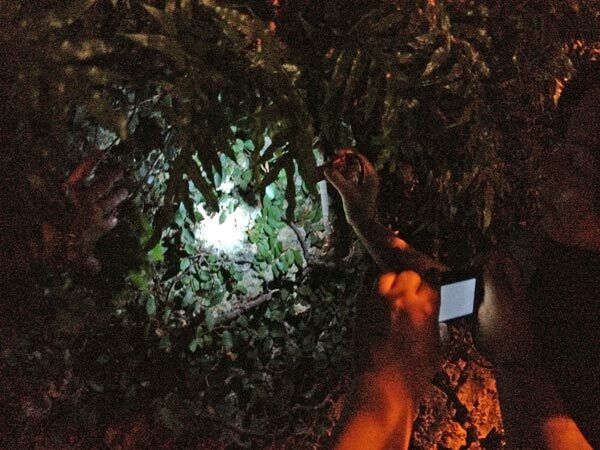 The group is asked to see things on their estate grounds, including shadowy figures, light orbs and odd glows. As the tour winds down we are taken to the foot of the Coconut Grove public library where, surrounded by iron fencing, is the gravesite of Eva Munroe. Spooky no, but odd to know I’d passed this area thousands of times not knowing what was feet away from me. The Mason-built structure just to the west of the gravesite has failed as various nightclubs for 30 years. Haunted or is it just a bad locale? You decide. Believers and skeptics alike who want to do something different with a weekend night are encouraged to check out this “hidden” attraction. I’d suggest taking along a drink to round out your evening. A few before might heighten the experience. 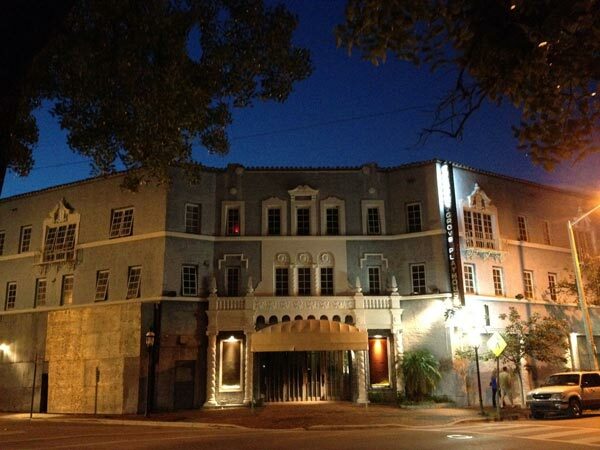 You can book a tour with The Original Ghost Tours of Coconut Grove by going to www.ghostgrove.com or calling 786-236-9979.